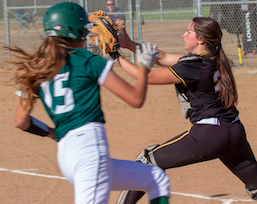 LAKESIDE (4-11-2019) – With Alexa Williams and Kylie Mead on the shelf, El Capitan High needed to go to its third-flight pitcher to order to gain the undisputed lead in the Grossmont Valley League. So Vaqueros head coach Joe Cota went to Brooke Horn in order to break a first-place deadlock with Helix. Horn, in her longest outing of the season, collected her fourth victory without a loss to pace the El Cap to a 3-2 decision over the Highlanders. Horn struck out five Scotties and allowed just one earned run which came on a wild pitch in the 5th. However, Horn got stronger toward the close of her complete-game effort, retiring the final eight Helix batters to maintain the 1-run lead. Meanwhile, Allyson VonYokes accounted for most of the Vaqueros offense. The left fielder collected a leadoff triple in the 2nd, scoring moments later when Olivia Martinez lifted a sacrifice fly. The game was tied at 1-all tie in the bottom of the third when Horn led off with a single. A sacrifice bunt sent her to second, and Katie Collier followed with a walk. With one out, Bailey Olaveson chopped a ground ball to short that was misplayed, allowing courtesy runner Hailey Mulligan to advance. After a strikeout, VanYokes came to the plate and delivered again, hitting a double for what proved to be the game-winning run. Such contributions proved important, as Williams was held hitless for the first time this season, ending a 17-game hitting streak. El Capitan (15-5, 4-0 GVL) has now won five straight ballgames and 13-of-14. 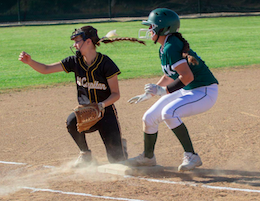 For Helix (10-8, 3-1 league), shortstop Avery Perez collected a pair of base hits, while catcher Isabella Bordine threw out a runner attempting to steal to end an inning. In the top of the third, the Highlanders capitalized on a pair of Vaqueros errors which allowed Perez to reach base and later to score, tying the game at 1-all. 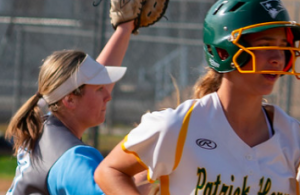 The Scotties would load the bases, with walks to Erin Brown, Nicole Hernandez, and Amber Young, but the Vaqueros got out of the jam by inducing a pair of ground balls that were both taken for fielder’s choices. The bats went silent until the 5th when Ramuno reached via a fielder’s choice. Hernandez singled and Young followed with her second walk of the day, loading the bases for the Highlanders, yet again. Ramuno scored via an errant pitch that sailed to the backstop, but once more the Vaqueros held, inducing a pair of infield popups to end the threat. For the Highlanders, Ramuno pitched a complete game on the losing side, giving up two earned runs and five hits while striking out seven. The Vaqueros travel to Mount Miguel on Friday for another league contest. The Highlanders’ five-game win streak came to an end. They face a nine-day rest, with no games scheduled until a Fiesta Tournament matchup, to be played April 20. 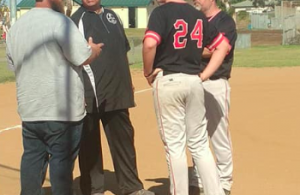 MONTE VISTA 22, MOUNT MIGUEL 8: At Trude Field in Spring Valley, the Matadors went from a 28-run win to a 14-run setback — an amazing, wild swing of 42 runs in their recent play in the Grossmont Valley League. 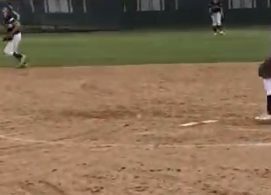 For Monte Vista (11-7 overall, 2-2 GVL) collected 16 hits, including two doubled from both Dessire Corona and Ionna Upham. Also registering two-base hits were Sophia Bodtke, Alexis Cervantes, Kayla Gonzalez and Vanessa Varela. Mount Miguel (4-6, 1-3 GVL) saw first baseman Nya Maga bat 2-for-3 with two runs scored, while shortstop Jackie Espinoza clouted a double. Both are seniors.